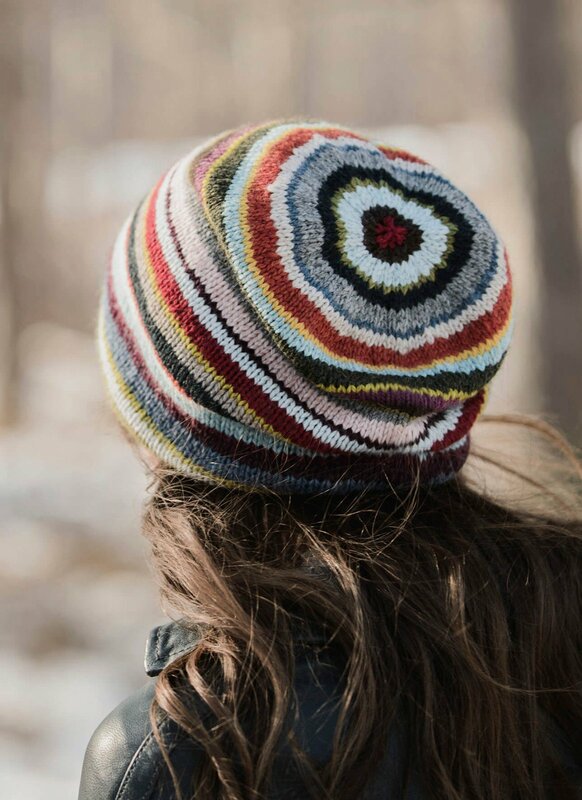 Knit in all 21 introductory colors of Woolstok by Blue Sky Fibers, this striped slouch hat is light enough to be worn in any season. Perfect for any skill level, this hat is as fun to knit as it is to wear. Kit includes yarn and pattern. Once finished the hat measures 10" in height and 21" in circumference.